Today I volunteered for the San Antonio Food Bank along with my great friend Monica and two new friends, Robert Admire and his wife, Leslie. Together we helped prepare close to 9,000 meals for the people of San Antonio. I don’t know if you all know this but those boxes do not fill themselves. Robert and Leslie made sure everyone had enough cereal for breakfast while Monica and I ensured there was enough cranberry-apple juice because juice rocks! We all had fun and time flew by so quickly. 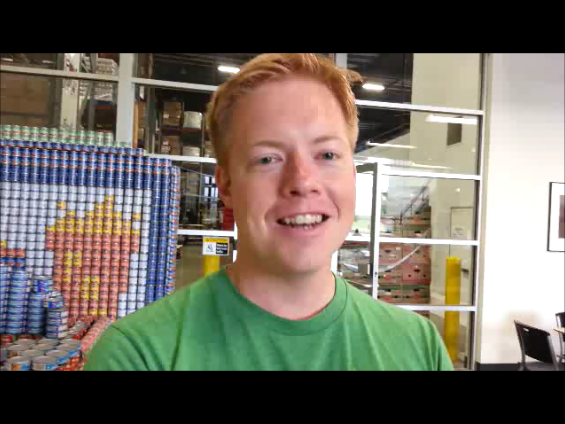 If you’re looking for something fun and rewarding to do on the weekends the San Antonio Food Bank is always in need of volunteers who want to help fight hunger. For more information, visit the San Antonio Food Bank website at: http://www.safoodbank.org/. After we finished volunteering, Robert, who works with AD 2 SA sent a message to all the beautiful people out there. Check out the video below to find out what he said.